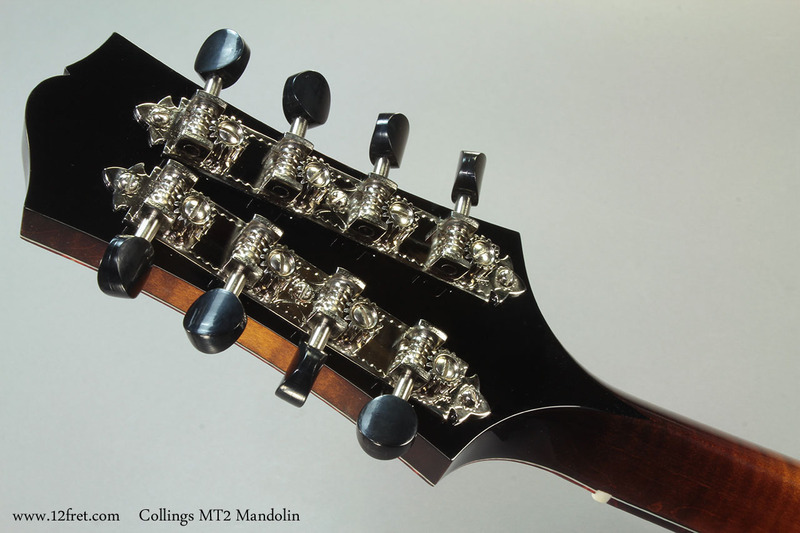 The Collings MT2 Mandolin is nearly the top of the heap for A-Style mandolins. 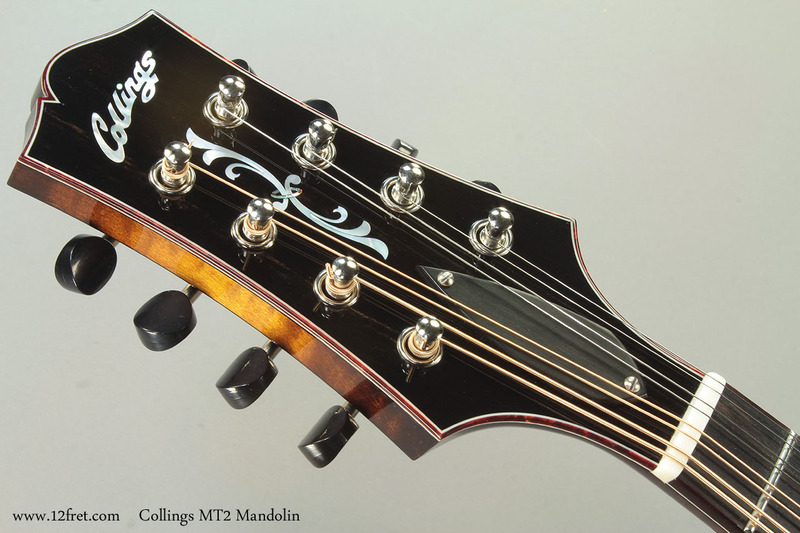 Featuring a carved Red Spruce top and premium grade maple for the sides, carved back, sides and neck with ebony for the fingerboard, headplate and bridge, and rounded off with faux tortoise binding, the Collings MT2 mandolin is an extremely attractive, exceptionally good sounding, and great playing instrument. 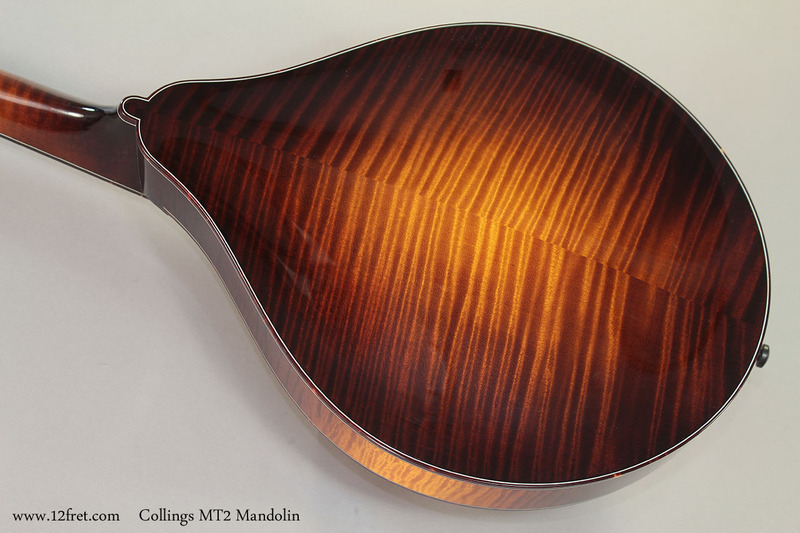 This mandolin is finished with a high gloss, very well done sunburst. With care, a sunburst almost takes on a life of its own, with many visual subtleties accenting the different refractive effects from the wood grain underneath. But to get to this, everything that’s under the finish has to be done at least as well – it has to look that good before any finish goes on. There is no sense that the sunburst is hiding anything (which was, one of the reasons that sunburst finishes were introduced to guitars). Of course, the tone is all here; though this is a brand new instrument, just arrived and not nearly played in, it’s got a rich, brilliant tone without any sense of brittleness or harshness. The factory setup is just as well done, and many players will find this mandolin ready to go with little or no adjustment. 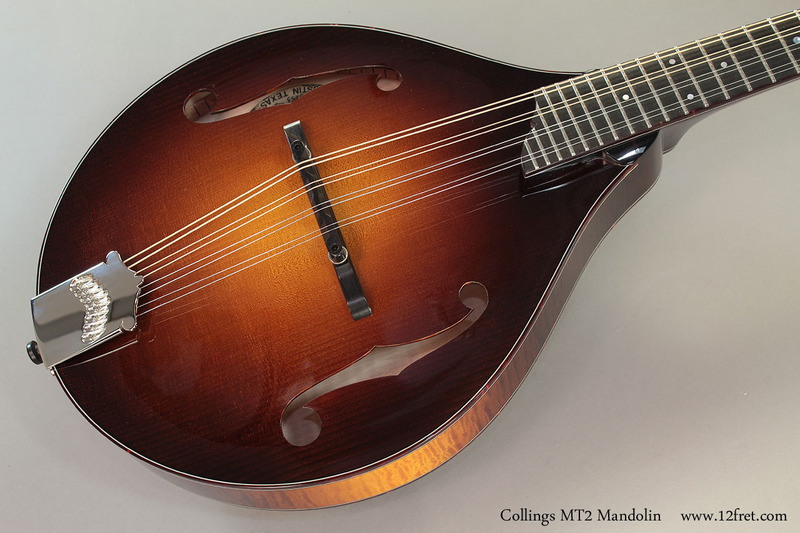 Read more about the Collings MT2 Mandolin at the Collings Website here! Serial Number:Varies as new; the instrument shown here is #3253, built at the Collings shop in Austin, Texas, USA.